We are moving to Fruita, Colorado! Fruita is a small town near the town of Grand Junction (which is small as well), on the western side of Colorado. Even though we came across many Craigslist scams, we found one house that we absolutely loved. We loved the location, the house was nice (the picture in this post is of the house we are renting), and it was below our budget. We had everything pretty much riding on this one house though. We didn't find anything else in the area that we liked and rentals seemed to go very fast in this small county. We were nervous, but submitted an application and were accepted just a few days later. The rental house is $1,400 per month, which is more than what we pay for the house we currently own. However, I'm still happy with this amount as our budget was $2,000 per month, which was an amount that I didn't want to really reach. Some of you may be wondering why we chose Fruita of all places in Colorado. It wasn't even on our radar until recently, so I've never talked about this small town on my blog until today. The location is amazing. We are close to many different areas and near the highway so we can have day trips to some amazing places in the area. There are things to do to the west, to the east, to the north, and to the south. Some of these places are below. We are located right next to Colorado National Monument. This means we're just two miles away from rock climbing, hiking, bicycling, camping, and more in this awesome national monument. We are also right next to Rattlesnake Canyon which has the highest amount of arches outside of Arches National Park. Then there's also the Kokopelli Trail that goes all the way to Moab from Fruita. We are close to all of the outdoorsy fun in Moab, Utah. We are one hour away from Arches National Park and 1.5 hours away from Canyonlands National Park. We LOVED Moab when we visited last year, so we wanted to be close to this area. Other places close by include Grand Mesa National Forest (I've heard the many lakes here are beautiful), Dinosaur National Monument, Uncompahgre National Forest, Gunnison National Forest, and more. 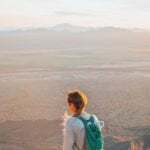 There are tons of things to do in the area including rock climbing, skiing, hiking, canyoneering, rafting, mountain biking (some of the best mountain biking is said to be right here), visiting one of the many wineries in the area, and more. While I haven't done some of these things before, I definitely want to get more into them. The weather. While the mountain towns in Colorado are beautiful, I knew I wasn't ready for super cold weather just yet. Fruita has weather fairly similar to St. Louis, except that there's way less humidity. The weather is perfect for us. It's affordable. 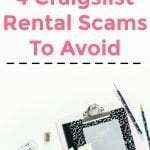 We looked for rental homes in other areas, but couldn't find what we were looking for unless we wanted to increase our budget by a few thousand dollars each month. That just wasn't going to happen. 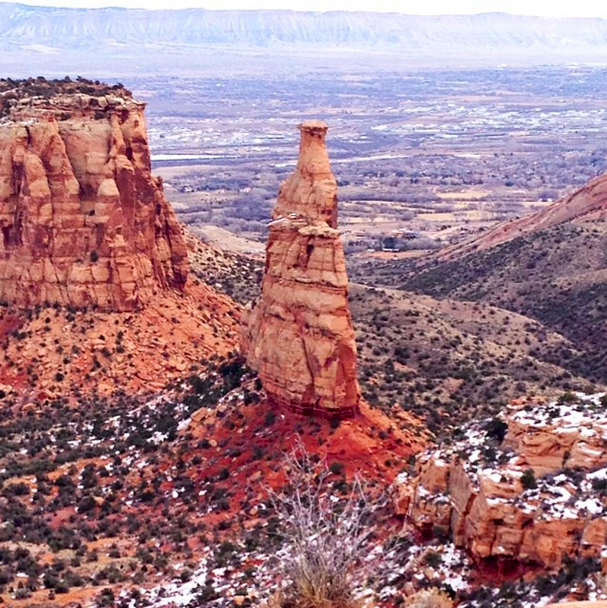 And those are some of the reasons for why we chose Fruita, Colorado. While we don't know if we will be here next year (location independence for the win), I know that we will have a ton of fun exploring this new-to-us town while we have the chance. Now, onto my moving bucket list. In less than two weeks, we will move over 1,000 miles away, as well as put our house on the market. This is probably the biggest change ever for the both of us. Even though I will miss St. Louis a lot, I know we will have fun in Colorado. I am ready to leave St. Louis and see what else there is for us. Before I move though, there are many things I plan on doing as sort of a bucket list so that I can enjoy the time we have left here. 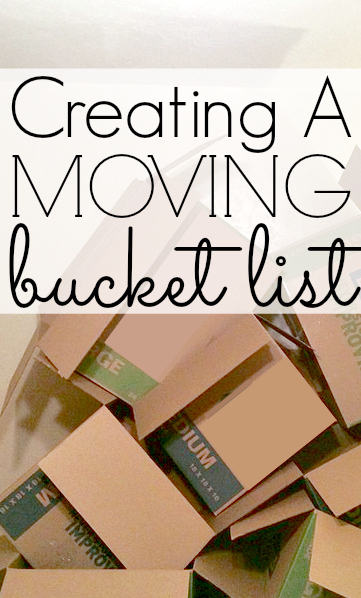 I know we will be back again to visit friends and family, but creating a “moving bucket list” sounded like fun. 1. I plan on seeing my friends and family as much as possible. While I don't have any family left in St. Louis, Wes does. We will miss them dearly and plan on visiting often because we know we will miss them too much. I also plan on hanging out with my friends as much as possible. I know I will miss my friends a lot. I have several dates planned with all of them and I want to squeeze every second I can into my schedule so that I can see them as much as possible. This will be the hardest part of moving for me – not seeing my close friends as much as I currently see them. Luckily, I already know that I will be back in St. Louis three more times this year, so I will take full advantage of those times whenever I come into town. Love you guys! 2. I want to eat at my favorite restaurants. Okay, so the rest of this moving bucket list isn't as serious, but I still wanted to include them because before we leave I need to get a good fix on my favorite meals. I've already visited and said goodbye to my favorite Mexican restaurant located up the street, my favorite Korean restaurant, and I also went to my favorite bakery. Now, I just need to eat enough fresh gooey butter cookies and some delicious St. Louis BBQ in order to be happy. 3. I need to visit my hair stylist. Before you think I am a bad finance blogger for spending a ton of money on my hair, that is not true. I visit her just twice a year, but she is amazingly good at what she does and she is quite affordable. I actually have an appointment with her today and I am still not sure what I plan on doing but I'm excited! Wish me luck! 4. I want to enjoy our house. 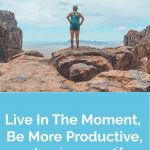 Our house is currently a construction zone with all of the updating that we are doing (read the post 5 Tasks We Need To Complete In Order To Sell Our Home Quickly if you are interested in what we are doing), but I still want to enjoy our house as much as possible. This house is the first house we have ever bought (and the only one we have ever bought), and if you couldn't tell already, I have attachment issues and I get attached to things pretty easily haha! Most of our clutter is already packed away, donated, or thrown away, so there isn't much left to enjoy except for our actual house, but I will find a way to enjoy it! I want to cook in my kitchen as much as I can, enjoy sleeping in my bedroom, and more. For the last two weeks that we have, I am just going to take in all of the wonderful memories that I have had in St. Louis. Everything has been great here, but I am ready for the outdoorsy fun and beauty that Colorado will allow us to have. 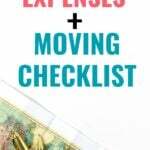 What tips would you give to someone who is planning a long distance move? What would you add to your moving bucket list if you were to move somewhere far away? Congrats on a wonderful new home and location! If you ever come to Denver, look me up :). Beautiful house and congrats on the move Michelle. Congratulations! Colorado is a wonderful place to live. Perfect for almost every outdoor activity and so pet friendly. The Palisade Peaches and Olathe Sweet Corn that some of the other comments have mentioned are no joke – delicious! For your moving bucket list – visiting with all your friends and eating at your favorite places and you can combine those together. When I got ready to leave Denver for Maui, I swear I was going out to breakfast before work and to dinner/happy hour afterwards every day to catch up with as many people as possible. You could also start your “I’m moving to Fruita and I can’t wait to….” list to get you even more excited about the move. I really like the house you are moving into. It sounds like the land of opportunity that you are moving too in having sooo many activities within arms reach. The picture is gorgeous, as I’ve never been to Colorado. I can relate to your attachment to things, your home. You will miss it for sure but you will take your memories I’m your heart and mind. I will be praying for you during your move and transition. Thanks for sharing. It seems like you have done a great job planning. When we moved from KY to CA, we shipped the majority of our belongings via a transport service and then packed our vehicle with a lot of stuff we’d need for the drive, as well as very fragile items. For us, this was cheaper than a moving truck. We really tried to enjoy the process of getting there too by stopping at interesting destinations along the way. I love the idea of a moving bucket list. Every time we visit my hometown I have to hit up my favorite restaurants, so I totally feel you on that front! Enjoy the rest of your time in STL and congrats on finding a great place! Congrats on the move! I love Colorado. If it weren’t for my work, that’s where we would be headed. 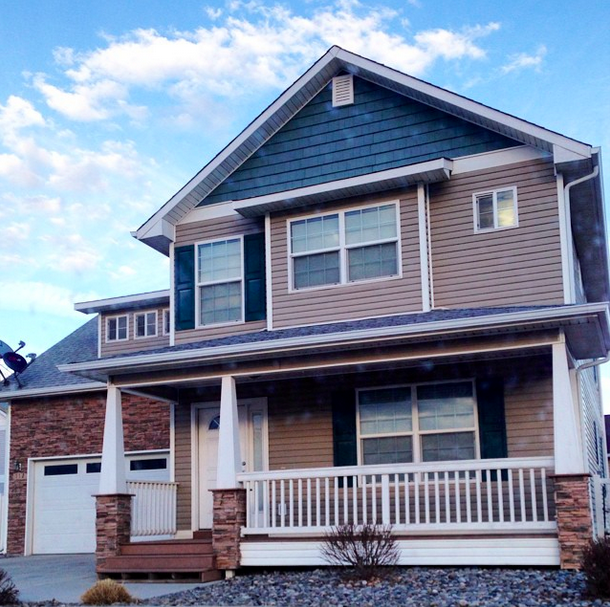 The house looks lovely and so does Colorado! It’s going to be a very busy time. Make no mistake so what I think you should plan is some “me” time with your husband and your dogs. Take as much help as you can. If friends and family want to help, let them! Go for a walk, go on a picnic,hike up a mountain. Don’t forget the reason that you moved there. It’s going to be a fantasic adventure and I can’t wait to read all about it LOL! Congrats on finding a place and the move!! It has to be scary and exciting at the same time! I love the idea of how much outdoor activity options you have. I’ve never been out west yet in my life but want to visit more and more with all that I hear. 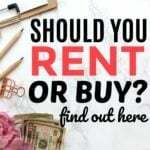 I just moved from Colorado, my life-long home, at my wife’s urging due to financial reasons (expensive to live there). I am not happy about it. Now I want my finances to vastly improve so we can move back. There are things there that I already miss (many of them you listed. I maybe moving to Fruita this summer, do you love it? Is it a cute town? I have a great job lead (sounds promising), but I have also just applied in Denver. I am trying to decide if Fruita is where I am meant to be or do I continue or wait out for Denver? What can you tell me about the town? I have been to Durango, Telluride, but not Fruita or Grand Junction. I am a girl that has always been tied between city and country life. I love them both. We love Fruita a lot so far! There are tons of outdoorsy things to do here. Grand Junction is just a few miles away, so we’re not missing anything by being in a small town. At the risk of sounding like a stalker…Oh my goodness, it is a small world!! I started following you recently because I want to start blogging again and I love your informative posts. I found your blog from Pinterest. As I was browsing your site today I realized that I live down the street from you (if you still have that rental). What?! I grew up in GJ and have lived in Fruita for over 10 years now. We are just south in Windsor Park. It is a great little town, although when we visit Denver I find things about the big city that I miss!